With early tax filers on the verge of getting their refunds and many telling pollsters that they will spend rather than save this year’s refund, the Automobile Club of Southern California offers consumers tips on how to get the most bang for their refund buck if making a used car purchase. “As with any major purchase, and with used car prices averaging upward from $16,000, let the buyer beware," said the Auto Club’s Car Buying Service Manager Dave Cavano. “When shopping for any car, especially used, consumers should do all they can to protect themselves and get a great deal. They shouldn’t rely solely on one source of information about a vehicle, but gather as much information as possible before making a buying decision. They should also get the best financing possible by getting pre-approved,” he added. Research costs, features and safety. 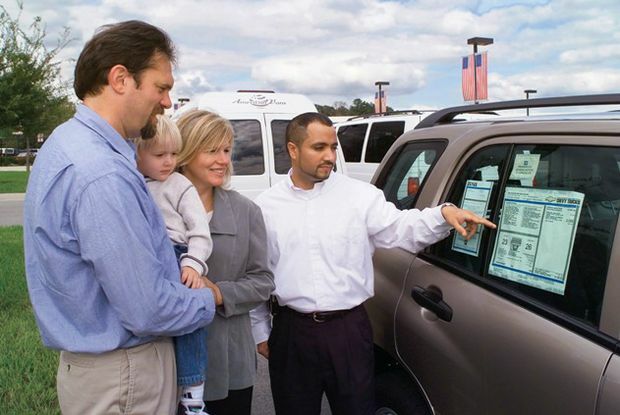 Before visiting a dealer’s car lot it’s important to research the vehicle to make sure it fits your needs and style, the dealer’s cost, government mileage ratings, available safety features, costs to own, warranty coverage from the manufacturer and special features, like hybrid technology, navigation systems or crash avoidance systems. Crash-test ratings are available from The National Highway Traffic Safety Administration (www.nhtsa.gov) and the Auto Club (www.AAA.com). Both provide crash-test ratings information at no charge. Ask the local Auto Club branch for the “Buying a Safer Car” brochure describing safety features. Set a budget and stick to it. Decide how much you can afford to spend on buying a car and determine if you’re eligible for discounts, rebates or incentives from the manufacturer or dealer. If you’re an Auto Club member you can use its Car Buying Service to obtain pre-negotiated pricing the Auto Club secures for its members. Get pre-approved financing. Get pre-approved before going to a car dealer. “If the dealer can offer better financing, that's great. If not, you know you have a competitive loan because you’ve already shopped the loan,” said Cavano. Get referrals from trusted sources. Ask family members, friends, or trust-worthy organizations such as the Auto Club, about reliable makes and reputable new car dealers. The Auto Club’s Car Buying Service has developed a AAA-recommended network of reputable new and used car dealerships which offer discounted vehicle prices to its members as well as dispute resolution should the purchasing process be unsatisfactory. Members still get all manufacturer’s rebates and financing incentives, and save 15-20 percent on service contracts (warranties) and aftermarket accessories. Look for a buyer’s guide sticker. Required by federal law, dealers may not sell a used vehicle without a sticker displayed. It discloses terms of the sale, whether it’s “as is” versus warranty coverage and how repairs under warranty will be paid. Seek a certified pre-owned vehicle or try buying used vehicles from rental car companies. California law requires dealers to disclose what their certified program means. In most cases, certified is an assurance of a top-quality vehicle that has passed a rigorous mechanical inspection usually with less than 75,000 miles on the odometer. Rental car companies, like Enterprise Car Sales, generally have a reputable stock of used vehicles since the vehicles are only driven 1-2 years before being offered for sale to consumers with much of the factory warranty still intact. Use online car-buying tools. A Carfax Vehicle History Report™ is one tool to use prior to a used car purchase and is offered on the Auto Club’s web site, www.AAA.com. The report will provide information about previous commercial title-holders major body damage and if the vehicle originated from a flooded area of the country. Buyers should never rely solely on information contained in vehicle history reports since the data contained in these reports may not include all ownership or a complete repair history, according to Cavano. Use reputable pricing services such as Kelley Blue Book, Intellichoice, the North American Dealers Assn. (NADA) or others to verify vehicle prices. Consider buying an extended mechanical warranty. An extended mechanical service agreement (extended warranty) offers consumers protection against unexpected repair bills, especially if purchasing an older used vehicle. Consumers may comparison shop amongst dealers and may be able to purchase a warranty somewhere other than where they purchased the used car. Test-drive before you buy. Make sure you test-drive the car in the manner you plan to use it. Drive up hills, on highways and in stop-and-go traffic, to mimic your commute and other driving patterns. Look over the vehicle inside and out. Lemon Law. A blanket lemon law for used vehicles in California doesn’t exist, according to Cavano.